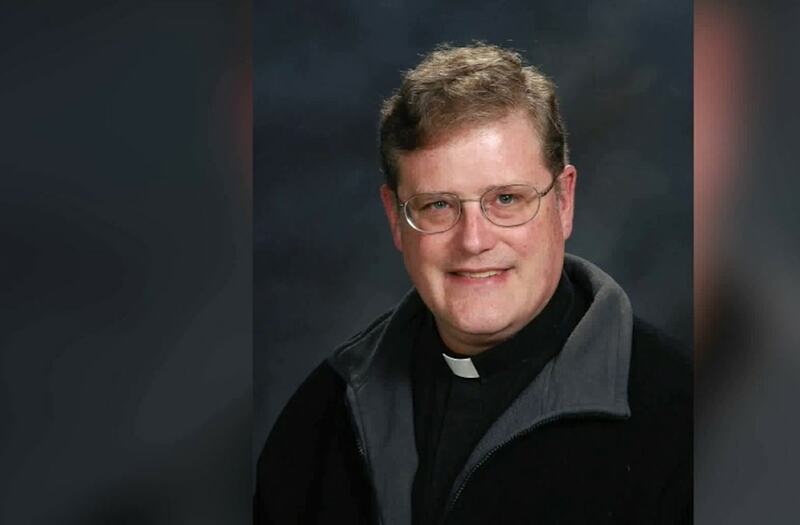 FAIRFAX, Va. (WDCW) - The Catholic Diocese of Arlington says a local priest voluntarily stepped down after writing an editorial on his past life as a member of the Ku Klux Klan. Father William Aitcheson most recently served as a priest at Saint Leo the Great in Fairfax. His editorial on Arlington Catholic Herald posted on Monday. "Father William Aitcheson’s article was written with the intention of telling his story of transformation. He voluntarily asked to temporarily step away from public ministry, for the well-being of the Church and parish community, and the request was approved," the Diocese wrote in a press release. Aitcheson's editorial is titled "Moving from Hate to Love with God's grace." He wrote, "While 40 years have passed, I must say this: I’m sorry. To anyone who has been subjected to racism or bigotry, I am sorry. I have no excuse, but I hope you will forgive me." He said that his past is public information, but it rarely comes up. "When I think back on burning crosses, a threatening letter, and so on, I feel as though I am speaking of somebody else. It’s hard to believe that was me." FBI documents, available online, revealed more about the threatening letter, addressed to the widow of Martin Luther King Junior, Coretta Scott King. It threatened to kill her if she spoke at the University of Maryland. At age 23, Aitcheson was also charged with six "cross-burnings" throughout Prince George's County, one count of making bomb threats and two of manufacturing pipe bonds. Police said then that his Ku Klux Klan lodge was planning to bomb homes and offices of the NAACP in the county. Aitcheson wrote that the images from Charlottesville brought back memories of a bleak period in his life that he would have preferred to forget. "The reality is, we cannot forget, we should not forget. Our actions have consequences and while I firmly believe God forgave me — as he forgives anyone who repents and asks for forgiveness — forgetting what I did would be a mistake. Those mistakes have emboldened me in my journey to follow the God who yearns to give us his grace and redemption," Aitcheson wrote. They also added that there have been no accusations of racism or bigotry against Aitcheson throughout his time in the Diocese. Billy Atwell, Chief Communications Officer for the Diocese Office of Communications, says they learned about his past, sixteen years prior, when he began ministry in Arlington, as well as his sincere conversion of heart. "His conversion is evidenced, in part, by the fact that we have had no accusation of racism while ministering in the Diocese of Arlington," he said to DCW 50's Kelly Rule in an e-mail. Atwell also said since the mid-2000’s, all staff and clergy of the Diocese of Arlington have been subject to criminal background checks, including a check conducted through the Virginia State Police of the national criminal history background check system maintained by the FBI, as well as a check of the Virginia State Police Central Criminal Records Exchange. "His background check indicated that he had not been convicted of a “barrier crime” as defined by the Commonwealth of Virginia," said Atwell. According to their timeline, Father Aitcheson was ordained a priest for the Diocese of Reno-Las Vegas, Nevada in 1988. A man heading to Saint Leo the Great church on Tuesday evening to pray about a disagreement with a customer said he was very surprised to hear about the allegations. However, as a man who came to church after his own tough past, he says he understood. "The heart can change a lot," he says.